I gotta admit… it’s tempting to just let “lesson time” fall by the wayside during these summer months and spend all day playing. 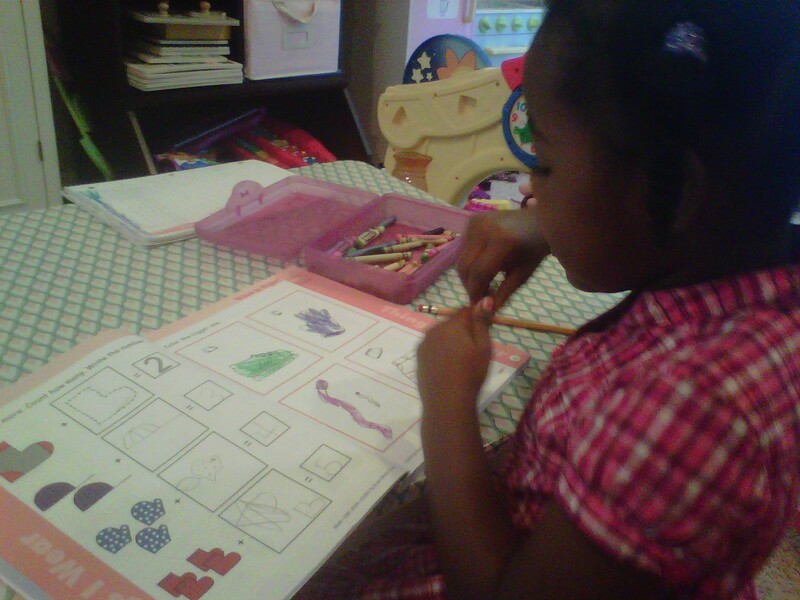 But I think the girls actually enjoy getting in some educational time, and I know it’ll keep their lil’ brains active. It’s never really anything too intense. 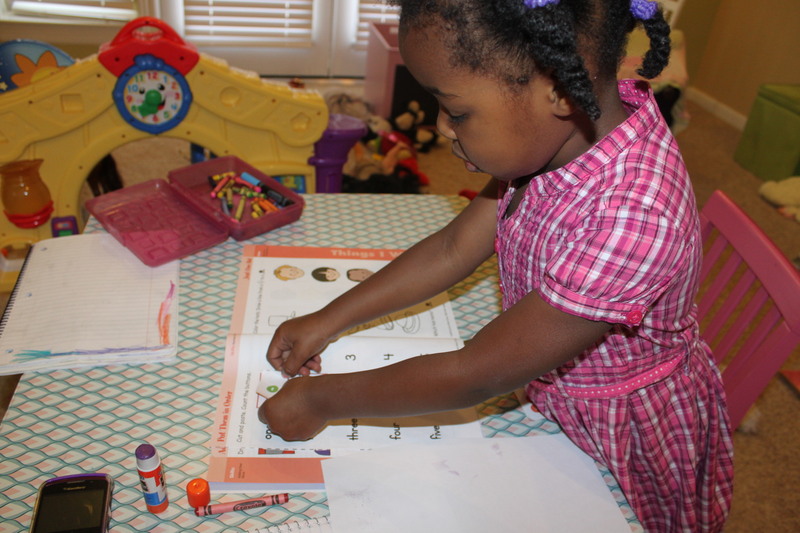 Here’s a shot of Farrah working in one of the Kindergarten workbooks we bought at the beginning of the season. It takes only a few minutes to do a page, and that’s really all she needs right now. By the way, her reading is getting really good! Something has clicked within the last few weeks of doing Hooked on Phonics. Previous PostPrevious Someone said the “s” word!